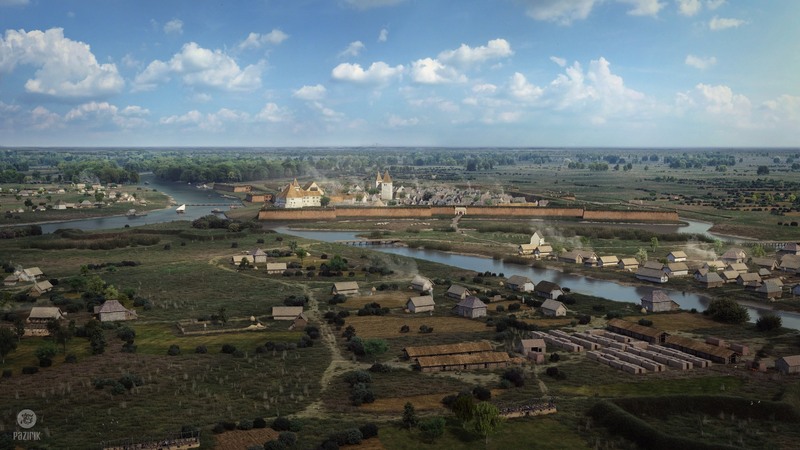 Győr in the beginning of the 17th century - reconstruction - Pazirik Informatikai Kft. | Pazirik Informatikai Kft. 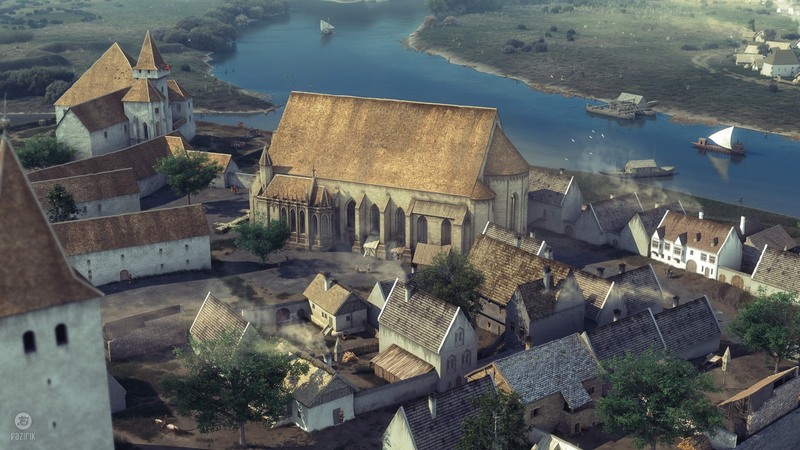 The theoretical virtual reconstruction images created for Lekri Group depict the city of Győr after the rebuilding following the siege of 1598. Numerous professionals contributed to the project, namely Gergely Buzás, György Domokos, István Paszternák, Zoltán Székely and Péter Tomka. 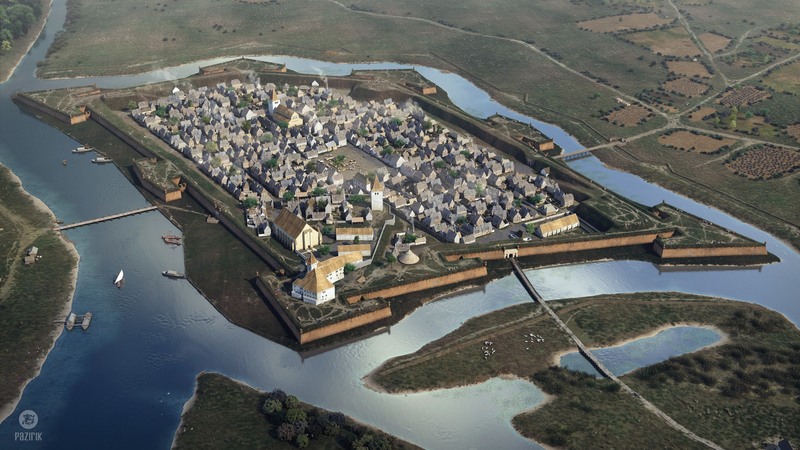 Győr was a border castle protecting Vienna in the Ottoman era, the whole city burned down except for the fortress in 1566. With the rebuilding a new perpendicular street-network was created instead of the crooked medieval streets, which can still be seen today in the downtown area. 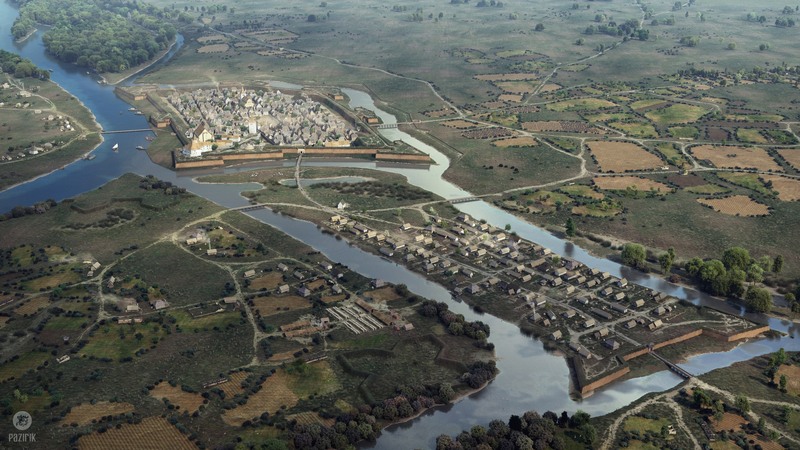 In 1594 a huge besieging Turkish army seized the city. It was taken back in 1598 by two excellent generals, Miklós Pálffy and Adolf von Schwarzenberg. A reconstruction followed this siege, and this is the period we show the audience on our images.